The Wolf Run by IGT has 5 reels and 40 pay lines; it is dedicated to wolves. To date, the graphics of this slot may seem outdated, but the gameplay and especially the bonuses – wilds, scatters, free spins – will not leave anyone indifferent. You can play this slot on the Mac and on Windows, but you do not need to download anything – the game runs in the browser. 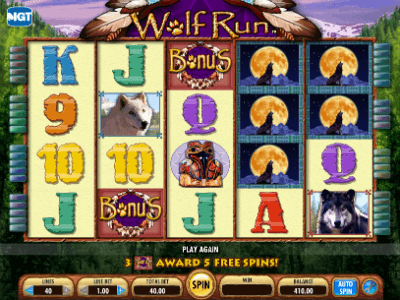 If you know the IGT range well, you probably know that this company has wolf-themed slots – Wolf Rising and Wild Wolf. However, the goal is one – to get a decent win, and even the fear of the wolves should not prevent you from doing this. The reels of the Wolf Run slot are placed on the background of a dense forest, and during the game, from time to time, a wolf howl will be heard. The option, which is typical for all IGT slots, is an auto game that starts at 10 to 50 spins. Automatic spins pass at the same speed as regular spins, and with the same chance to get a bonus or to collect a winning combination.  The automatic spin mode can be useful if you need to take your mind off an important matter, but you do not want to interrupt the game. You can stop the auto spin at any time simply pressing the Stop button. Automatic spins will end automatically if you run out of credits or activate a bonus round. Three Bonus symbols on 2, 3, and 4 reels give 5 free spins, during which all wins are doubled. Three more bonus symbols will give 5 more free spins with the multiplier x2, etc. During the free spins, adjacent wilds fall out, which can significantly increase the winnings. The rate on the line varies from 1 to 50, respectively, the maximum bet for 40 lines is 2.000 credits. The largest payment – 1.000 credits – is to be given for 5 wilds. In this slot, you can play at the minimum, but it's much better to make the maximum possible bet – then there is a chance to break the jackpot. Despite the fact that this game is quite obsolete, Wolf Run to this day remains one of the best IGT slots. This is a very interesting slot machine, in which it's pretty easy to get bonuses and winning combinations. Its interface is simple, but the gameplay is quite attractive. If you've already played Wolf Rising or Wild Wolf and you liked it, you should also play in this slot.